Okay, when you start moving female novelists into a separate “American Women Novelists” category (and letting the menfolk only remain “American Novelists”) you’ve become a part of the problem to be sure. I spent some time poring over the discussion on Wikipedia about what to do with these categories, and was pleased to see that most of the Wikipedia “editors” clearly felt that allowing the “American Novelists” category to be a men’s-only affair was just plain wrong. So, encouraging news there, right? Alas, for women writers everywhere, this is just the tip of the iceberg in terms of the real issue: that women get treated differently as writers than men do. I said it. And, sadly, I mean it. We buy more books than men do. According to an analysis by Bowker, in fact, we bought 60% of all books sold in 2012. It turns out that we write quite a few of them, too. But you wouldn’t know that from number of books by women writers that get reviewed in major journals. VIDA, an organization whose work I admire greatly, has put in the research hours to find out just what the disparity of book reviews for male and female authors is, and unfortunately, the results aren’t encouraging. In 2012, The Atlantic reviewed 20 books by men and 11 by women. The New York Times Book Review reviewed the work of 488 books by male writers and 237 female writers. When you see such stark numbers, it’s hard not to cry foul. And this just touches upon book publishing and reviewing. It doesn’t even touch upon the dispiriting number of articles by women published in major magazines and journals. Now, I work and write in an industry that is, in fact, a very friendly place for women. Children’s books still offer a world of opportunity to women writers, editors, designers, marketers, and yes, even reviewers. I won’t bore you with the reasons why I think this is the case (that’s a whole other post, I’m afraid). Suffice to say that I’m always grateful that this little realm of the publishing world is the realm in which I find myself. But that doesn’t mean that I won’t raise my voice to protest when something unfair happens in one of the other realms. Because by treating women writers as something lesser, something inferior to male writers—by bringing the attention of prestigious reviews to so few women writers—we do all readers a disservice. I don’t ever wear perfume—it always feels heavy and strange to me—but I just discovered I Hate Perfume, the website of perfume designer Christopher Brosius, and now I am captivated. He quotes Longfellow in his bio, he apparently used drive a cab, he’s happy to make you a personalized scent. Frankly, he had me at Longfellow, but it only gets better from there. One of his perfumes is called A Room with View, which includes in it, among other things “a torrent of violets.” If you read on, you discover that the inspiration for the perfume is drawn from “one of my favorite E.M. Forster novels.” I love this man first for having more than one favorite E.M. Forster novel, and more still because the favorite named isn’t A Passage to India. Brosius tries to capture in a perfume the scent of a Memory of Kindness from his childhood. Of a night in Winter 1972. How do you capture the spirit of a winter night forty years ago in a perfume? How do you bottle “A field of untouched new fallen snow, hand knit woolen mittens covered with frost, a hint of frozen forest & sleeping earth?” I don’t know, but I’d love to find out. I’ve been thinking a lot lately about how to capture something like scent not in a bottle but on the page. How do you give a reader an experience that truly engages the senses using only words? For me, it doesn’t come all that easy, but I’m working on it. I admit that I’m much better on the visual and tactile than I am on things like smells and tastes—though I fear that this has as much to do with my lackluster sense of smell than anything else. As with everything writing-related, it’s a work in progress. But I might order myself some Black March perfume (“A fresh clean scent composed of Rain Drops, Leaf Buds, Wet Twigs, Tree Sap, Bark, Mossy Earth and the faintest hint of Spring”)—inspired by the Stevie Smith poem by the same name—to get the creative juices flowing. Last night, a tidy package of books arrived in the mail for me. William Blake’s The Marriage of Heaven and Hell (complete with his original artwork), Ware’s Victorian Dictionary of Slang and Phrases, and a palm-sized black book entitled Superstitions, Omens, Charms, Cures 1787. 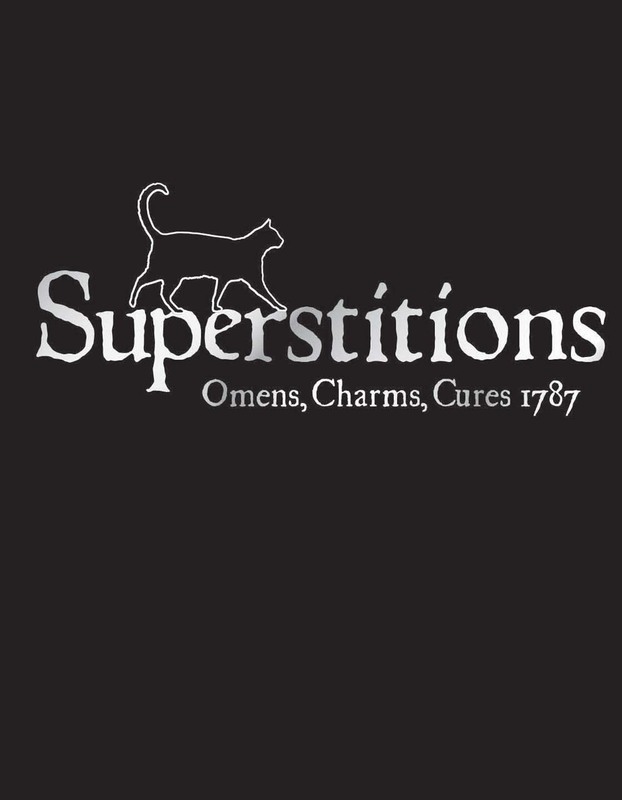 Clearly I went for the most intriguing book first: Superstitions, Omens, Charms, Cures 1787. This book (published by the Bodleian Library in Oxford) might be tiny, but it packs a wallop. Advice on the occult is offered up by one Francis Grose, whose commentary on things that go bump in the night is just a step beyond delicious. There are so many omens of death listed that you could hardly open your eyes without seeing one of them, which seems like no healthy way to get through the day. Clearly, Francis Grose, who originally published these musings on the supernatural as part of a larger book in 1787, is a man with an extraordinary gift for the well-crafted turn of phrase. He’s also a hoot. And why, pray tell, am I reading this crazy little book? Research, my friends. Sometimes this whole writing thing has real benefits. Yesterday was hard. The office of our publishing house was, thankfully, open once again, but everywhere you looked around the city, the scars from Monday were still visible. My walk from the train at North Station to our office in the Back Bay in the morning was a jarring one. There were National Guardsmen and bomb sniffing dogs at North Station. There were SWAT team officers with what looked like automatic rifles at City Hall Plaza. The National Guard has set up camp (literally) on the edge of the Boston Common. The press had swarmed the outer edges of the Public Garden on Arlington Street. And the police barricade, marking the crime zone no one can yet enter, lies just outside our office door on Berkeley Street—where a heartbreaking makeshift memorial has sprung up. The reason for that memorial and the reminder that so many people are struggling with far worse aftershocks from the bombings hit me hard. Yesterday, I arrived at the office with tears in my eyes. It is a beautiful city, and that hasn’t changed despite what happened. So today I brought my camera to work with me and took pictures of the city as I made my mile plus walk to work—even if my terrible photography can’t quite capture the loveliness of this city in spring. This is what I see in and around my office—just a small portion of Boston. But it’s enough. The Park Street Church is ready for spring. I challenge you to find a lovelier state capitol building. Seriously. The robins and the pansies are out to play in the Public Garden. Soon the whole place will be decked out in tulips. The ducklings appear to be wearing their Sunday best. The very best green is always spring green. The view down Marlborough Street (taking the scenic route to work). The sight of the Arlington Street Church means that my journey to the office is nearly over. Boston is my hometown. I grew up in East Boston, went to college (and now grad school) in Cambridge, have lived around the city and now north of it. The street where the explosions rocked the city is the street where I work—where I run errands, enjoy the spring, endure the wind tunnel that it becomes in winter, and generally take in the city I love week after week. It may sound strange and even provincial to admit this, but it’s difficult to believe that something like this could happen this city—my city. A place that’s always seemed alive with history, with warmth (even in the dead of winter), and with beauty. The street that has been my breezy lunchtime walk is now a place where a eight-year-old died. How does a city pick up the pieces in the aftermath of that? How do you walk that street again and not feel the tragedy seep into you? Once, when I was teaching at a Jesuit high school, a young boy died after battling cancer. I didn’t know this boy, but many of my students were good friends of his and were grieving his death. So I found myself at a memorial service of a boy I’d never met because of a group of boys I knew quite well. It was a devastating service—so hard to watch the freshmen boys who I knew by turns to be goofy, disorganized, earnest, and thoughtful to be gripped with sadness. I remember their grief, and I remember the words of the priest at that memorial mass, who spoke to the kids about loss. He told them to essentially ignore anyone who said that this young boy’s passing was God’s will—that God would never have wanted to rob this child and his family of his life. God was not to be found in the cancer. God was to be found in the comfort everyone would help give each other afterward. In the kindness showed to friends and family, and in the love we all shared for one another. It’s not easy to find God when a child dies of cancer or a bomb destroys the happiness and peace of a holiday afternoon, and a sporting event that draws the whole city together. But I’m trying to do so right now. For some, God can be found in a church or a synagogue, a mosque or a temple—in prayer or in song, alone or surrounded by community. For me, God will always be most present in my family, and in literature. I am not a Luddite. Despite my overall mixed feelings about Apple, my affection for my Macbook runs deeper than I’d like. I couldn’t live without my cellphone. Contrary to everything I’d ever thought about e-readers, I’ve come to grudgingly think mine is the cat’s meow. And yet, since I began this blog, I’ve begun to feel like the technological world somehow eludes me—as if I’m Bo and Luke Duke driving over some doom-like cliff, hoping that I’ll land safely on the other side. Pictures I’ve posted mysteriously disappear. I know this must somehow be because of something I’ve done (or failed to do), but what exactly it is remains darkly shrouded. Because I’m still feeling my way through this maze-like world of blogging, it took me a while to institute basic things like a follow button. For more than a day, the blog was down because my webhost apparently blew a rather large fuse somewhere in the ether but didn’t let users know about it by any direct means. So when the question came up: What happened to your blog? The honest answer was (at first): I have no idea. On top of this, there’s a whole world of VPS and memory usage that I’m trying really hard to figure out—but haven’t quite got the cause and effect of it all down yet. The good news is that the technological haze seems to be slowly clearing for me. The even better news is that my husband experiences none of this haze. So, when stumped, I simply hand over my laptop and he ultimately fixes whatever problem I’ve encountered. However, I try to make use of his IT services sparingly so as not to abuse them. 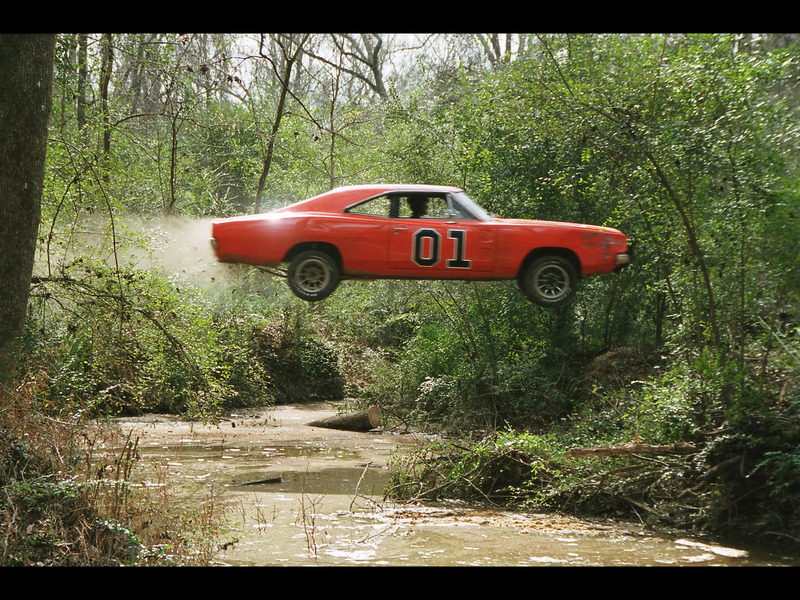 So, though unlike the Dukes of Hazzard in almost every way, I’m making my way, technologically speaking, the only way I know how. Thankfully this only involves trial and error rather than run-ins with the local sheriff and Boss Hogg. It also involves the fear that my technological know-how, like my sensibilities apparently, might be a little too influenced by being a child of the 1980s. Sure, sure, I know that you’re supposed to get at least eight hours of sleep a night. I’ve heard it can do wonderful things for your health and well-being. It might even leave you less groggy in the morning. Insomnia, however, has been a long-time companion of mine. Though I have no Boogie-Woogie Sheep to help me dance myself to sleep (alas), those precious eight hours can prove as elusive to me as they are to Ernie in this song. There are times when this is a burden, without question. But there are advantages to say, having your natural clock wake you up at 3:30 in the morning. One of them is having some writing time. In an ideal world, I’d have hours every day at my disposal to write and edit and think about the various stories I have percolating. But I work and I have a family, and that just isn’t realistic. So, I figure, if I’m already awake in the wee hours, why not put said wee hours to some good use? The laptop sits by my bedside each night, and is frequently used. Sometimes I write down things I’ve dreamed about—what is now a large and unwieldy YA project began as a less-than-pleasant dream—and other times I go back in and revise whatever I was working on before bedtime. I’ve written down whole rough drafts of picture book stories that I barely remembered afterward. Yes, this leaves me tired. Yes, I do realize it’s less than ideal. But you’ve got to work with what you have. And what I have is insomnia. So, even though I know those tap dancing sheep would be lovely to have around, I prefer to let my much-beloved husband rest—and write myself to sleep instead. There are so many books and movies about the tragic sinking of the Titanic. With a market so glutted, a story so often told, how could you find a way to tell it once again that felt new, different, emotional? 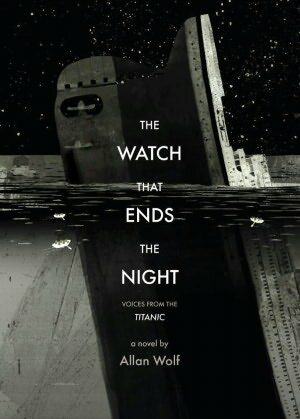 I’d be at a loss, but not so Allan Wolf, whose The Watch That Ends the Night does all of the above. (Full disclosure: once upon a time, I worked at Candlewick Press, the book’s publisher). Told in verse from multiple perspectives–from posh millionaires to poor emigrants, from the ship’s captain to the ship’s rat, the range of voices and experiences of this tragedy is wide and all-encompassing. Which brings me to the Iceberg. Never before have I read anything in which voice was given so convincingly to something that isn’t actually, well, alive. The Iceberg is gigantic, godlike in its scope and vision, and completely fascinating. It feels it has a date with destiny when it comes to Titanic, but in the end, the collision changes the ice as much as it changes the ship. The Iceberg also acts as almost a foil, and certainly as a counterpart to the undertaker in ways I won’t describe here, so as not to spoil all the chilling glory of discovering it as a reader. So, is there a way to make the story of the Titanic fresh and different? I’d say the answer, thanks to Allan Wolf, is a resounding yes.